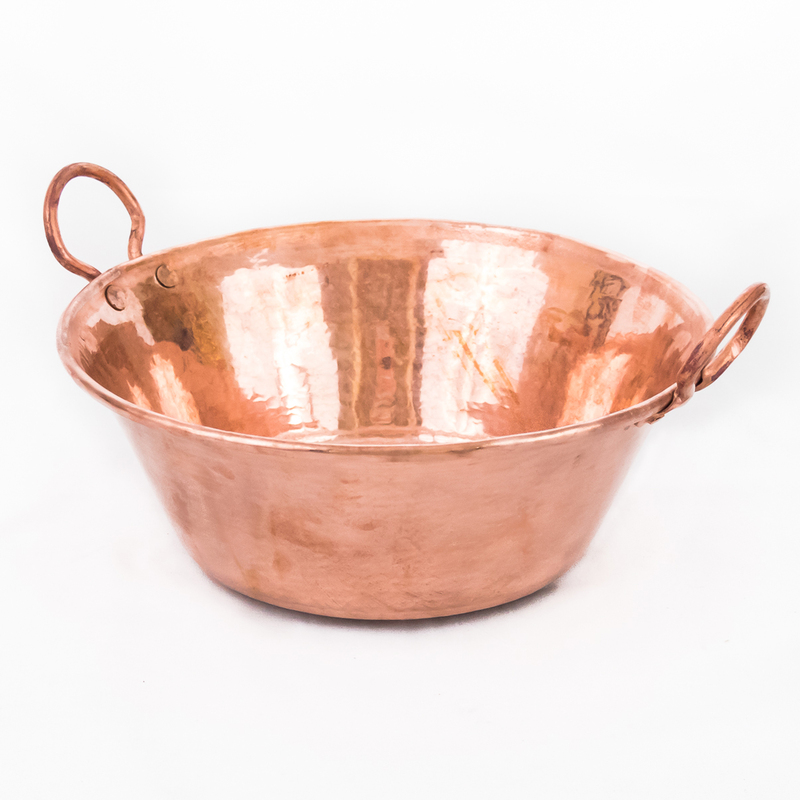 Our Cazos are hand hammered heavy gauge 100% copper pieces with two copper handles for easy carrying and are handcrafted in Mexico measuring 13.5 inches from handle to handle, 11.5 inch diameter by 4.25 inches high. They are highly durable, capable of lasting for multiple generations. They have a semi-cone shape wider rim with a tapered narrower bottom which is a bit concave. The Mexican Copper Cazo is used in Mexican households to make cajeta (also known as dulce de leche), carnitas, polenta, chicharrones, and atoles, to name a few. The smaller sizes can also be used for an authentic and decorative look when serving your table. Your family and guests will be impressed by your ornamental and attractive table setting.